A fellow writer on 750Words recently posted an article on their learning over 366 plus days of writing. What was very interesting about the post was that the writer is also an organist, and has played at over 150 funerals. They noted that the stories people tell are often of themselves, not of the dead (Hall, 3 January 2018). We tell stories of our intersections, our collisions, with those who have gone. This writer's emergence over a year of writing was an interesting and sometimes challenging read. I enjoyed sharing the learning gleaned: it made me reflect on my own meandering path. I thanked the writer for the share and explained that I too had discovered 750 words (thanks Kellianne and Buster! ), and had made it a tool for my writing. However, I felt that Hall had made it a sword. Hall (3 January 2018) shared the quote, "In the graveyard are buried all of the unwritten novels, never launched businesses, unreconciled relationships, and all of the other things people thought, ‘I’ll get around to that tomorrow.’ One day, however, their tomorrows ran out” (Henry, 2013, p. 15.5/364). This led me to investigate Todd Henry's books, which encourage us to make small steps in the direction of things we want to do. Today. 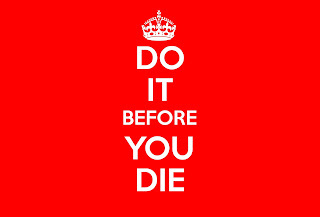 I too am working through with a 'do it before you die' imperative. One of my friends - a uni buddy of my husband's - has the bulbar palsy type of motor neurone disease. This form first paralyses the trunk, causing speech, breathing and swallowing to decline before extremity failure; with unaffected brain function. Trapped within a failing container. When first diagnosed, two and a half years ago, life expectancy was between two months and two years (I love this exceeding of expectations. Long may it continue). When first told, I retreated to think. What I would have to do with such a potentially close event horizon? The blazing, first, unedited thought was "I would have had to have started my PhD". This shocked me. While I am fairly reflective, I had no idea that completing work at this level was so important to me. My friend's living journey had collided with mine. I listened to myself. I rearranged my present to change my future. My doctoral work may still be a graveyard story - because we can't see what is coming - but I am working towards dying empty. Hall, L. R. (3 January 2018). The 11 Lessons I Learned Writing Half a Million Words Over 365 Consecutive Days. Retrieved 29 March 2018 from http://leesareneehall.com/11-lessons-learned-writing-half-million-words-365-consecutive-days/ . Henry, T. (2013). Die Empty: Unleash Your Best Work Everyday [mobi]. New York, USA: Penguin Group. Henry, T. (2011). The Accidental Creative: How to Be Brilliant at a Moment's Notice [mobi]. New York, USA: Penguin Group. 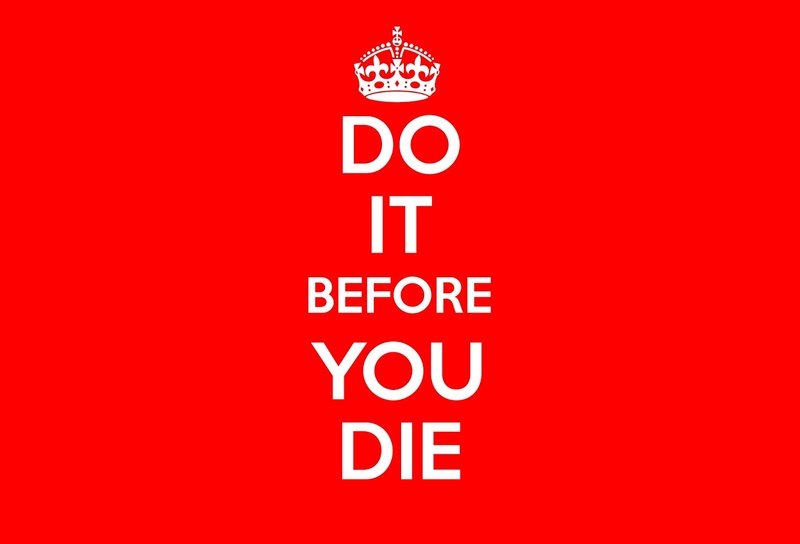 KeepCalm Generator (n.d). Welcome to the online Keep Calm Generator. Retrieved 29 March 2018 from http://www.keepcalm-generator.com/ .